Lucy's Offers many items at wholesale to restaurants and grocery stores. If you are interested in Lucy's Wholesale, please phone or e-mail one of our sales associates and they will be happy to assist you. 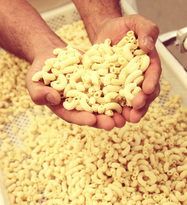 Pasta is available in Angel Hair, Spaghetti, Linguine, Fettuccine & Pasta Sheets, Ziti, Pappardelle, Elbows, Penne, Conchiglie, Ditalini, Rotini, Fusilli, Pipette, and Radiatori. 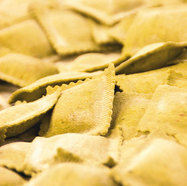 Read our cooking instructions for ravioli here.